Y’all know I’m no stranger to a slow cooker. In fact, I’ve got a collection of them – six, give or take a few. There’s just something about tossing ingredients into a slow cooker in the morning and coming home to a house filled with the smell of dinner, ready to eat. But not very often does my mind move beyond main course recipes when it comes to the slow cooker. Sure, I love to use it to keep my dipping chocolate warm when I’m making Christmas candies, but that’s about as far as my imagination goes. 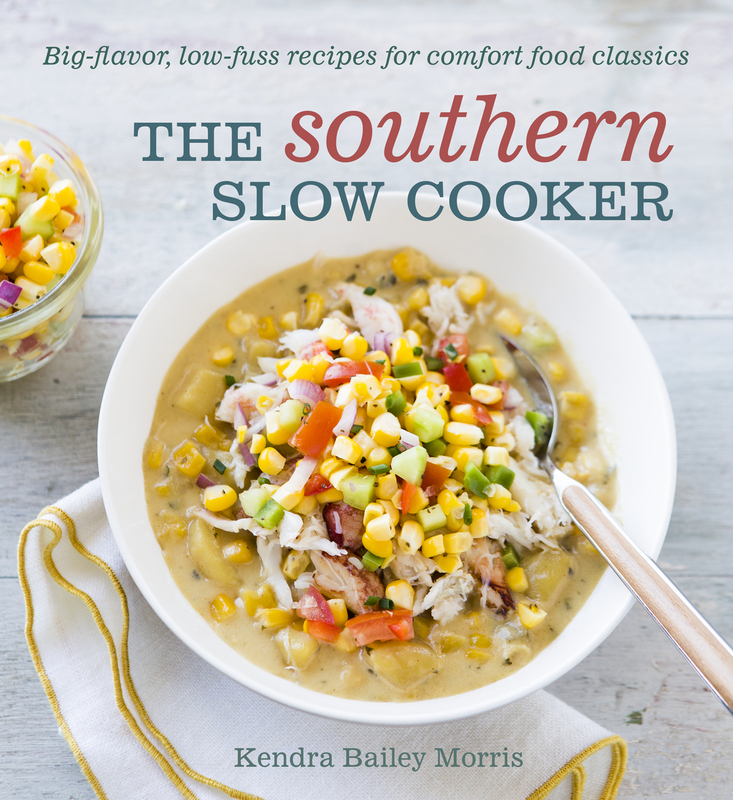 That is, of course, until I got my hands on Kendra Bailey Morris’s new cookbook, The Southern Slow Cooker. You can find classic slow cooker staples like soups, stews, and chili, but what really got my attention was the inclusion of not-so-typical slow cooker recipes like Lemon Blueberry Buckle, Gingersnap Peach Upside-down Cake, Buttermilk Chocolate Spice Cake, even Pork Ribs with Raspberry Sorghum BBQ Sauce. Her book makes you realize that your slow cooker can be used for so much more than pot roast. The recipes are only made even more tempting with the beautiful images from Erin Kunkel. If the recipe doesn’t draw you in, the photography sure will. 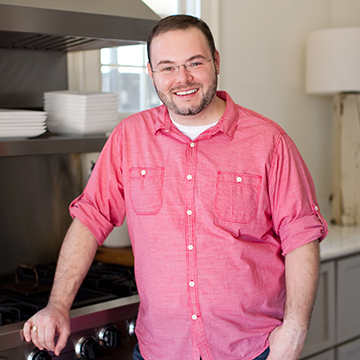 My perspective on cookbooks is a little different now with one of my own on the way, so I have a bit more appreciation for the hard work that goes into one. But trust me when I say that this cookbook will be a perfect addition to your collection. If you love the slow cooker as much as I do, you need to check this book out. 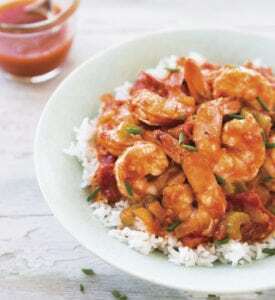 Not only has Kendra and Ten Speed Press been so gracious as to share that Shrimp Creole recipe with y’all, but they are also going to give a copy of the book to one lucky Southern Bite Reader. See the contest box below for more details. Spray the inside of the slow cooker with cooking spray. Heat the butter and olive oil in a cast-iron pan over medium-high heat. Add the onion and celery and sauté for 3 to 4 minutes, or until translucent. Add the garlic and sauté for another minute. Transfer the onion, celery, and garlic to the slow cooker and add the tomatoes, tomato sauce, thyme, sugar, Worcestershire sauce, chili powder, salt, cayenne, and bay leaves. Cover and cook on low for at least 6 hours and up to 8 hours. One hour before serving, add the bell pepper and continue to cook on low. Finally, during the last 10 minutes, add the shrimp and cook until they are pink and slightly curled (be careful not to overcook). Season with salt and pepper. Remove the bay leaf and spoon over rice. Garnish with a sprinkling of fresh chives. Serve with hot sauce on the side. Disclaimer: Ten Speed Press provided a copy for me to review as well as will be providing the winner with a copy. So far (I expect that it will change once I get my hands on a copy of this cookbook), my favorite thing to fix in slowcooker is a hoisin pork roast. Our favorite slow cooker recipe is BBQ pork tenderloin. 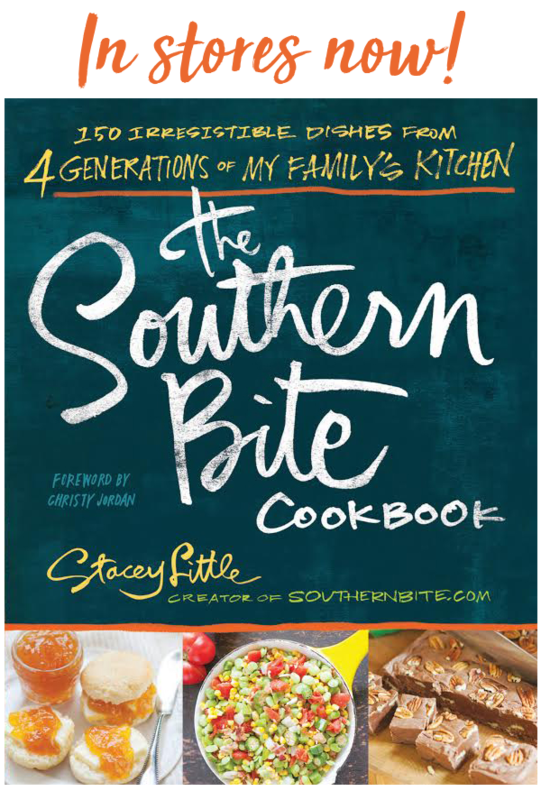 I’m excited to learn some new Southern recipes with this cookbook! My favorite dish to cook in my slow cooker is BBQ pulled pork! I love cooking in my slow cooker. One of our favs is an Italian sausage recipe. I make a Oriental BBQ rib tip dish in my crockpot that my family loves. I would love to have this cookbook, and it will be well used and passed on some day with the rest of my cookbook collection. Oh goodness this looks like a wonderful book. Thanks for the opportunity Stacey!. Oops, forgot to put my favorite dish. My favorite is pork loin with potatoes and carrots with mushroom gravy. I’m the author of The Southern Slow Cooker. I love all of your slow cooker recipe ideas! Slow cooking is definitely the way to go. Good luck to the winner, and I’m happy to autograph the book! Mine is pulled pork BarBQ. Thanks. I love my slow cooker and can’t wait to try keeping chocolate warm for dipping. My favorite thing to cook is what i call Mexican Shredded Chicken. its only chicken breasts, salsa, taco seasoning. thats it, shred when done and use for tacos, nachos, burritos, you get then idea! Also freezes well. I love any breakfast recipe in my slow cooker since I am not a morning person that must get up at 5:00 AM!! WOW!! That is crazy! I love my slow cooker! My favorite recipe is chicken tortilla soup! I use my slow cooker all the time ! My favorite foods are soups and stews and they are so easy to put together and have hot and ready in my cooker. Thanks for the opportunity to win this cookbook. I would love to win this book! Love slow cooker recipes! I love a good slow-cooker recipe!! I’m all about easy cookin’!!!! And my favorite go-to recipe is Beef Stew. 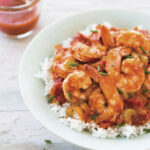 I NEED a Slow Cooker Cookbook just for southern cooking…this looks awesome! The cover alone makes you want this book! Slow cookers are a stay at home moms best friend. Not only do we like the unassisted assistant :), healthy meals are what we pride ourselves with each night our families sit down to eat! I love to make soups and stews in my slow cooker! my husband could eat this 7 nights a week. We love it.